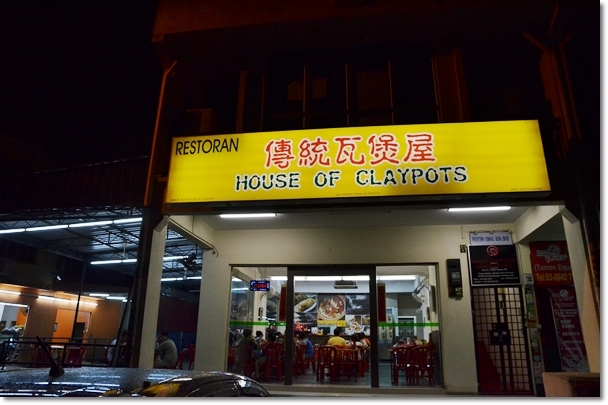 House of Claypots @ Seri Kembangan – A Claypot Chicken Rice Worth the Journey? Anyway, this is officially my first review of an eatery in Seri Kembangan or Serdang. Yup, 5 years plus and this is the first time I am stepping foot into the neighbourhood. It sure felt like an entire world of gastronomic delights opened up to me like an oyster baring its pearl. Now, it took me considerable effort to find information about this outlet on the Internet. Nor any other materials for that matter. Apparently, this used to be Shi Yue Tian Claypot Chicken Rice on Jalan Puchong opposite of one Guan Yin temple near to Taman Kinrara. Either this is a branch or they moved to this new location permanently. A corner premise in the midst of a commercial area (somewhat aged, and reminded me strongly of Pandan Indah) with coffee shops monopolizing the alleys and adjacent streets by hoarding up the space with plastic tables and chairs, you can tell that the Chinese community here is very much dominant. The wait was a bearable 15 minutes or so. Or could be longer, but sure time flies when you’re in good company. The claypot chicken rice here apparently is cooked over charcoal fire; the almighty flavour-enhancing fuel in case you’re wondering, and priced reasonably low. 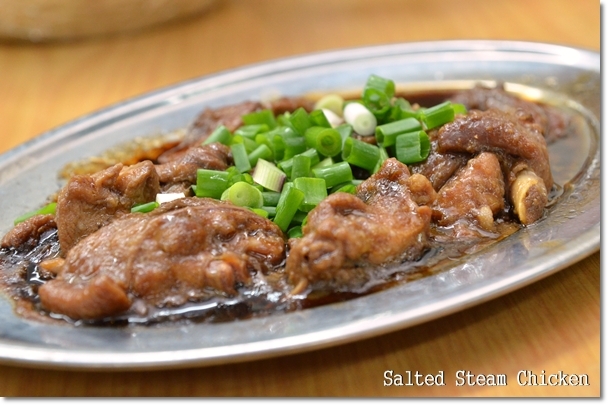 A portion for one at RM6.50/USD2.20 that can feed 1-2 pax, while the big portion for 2-3 pax is priced at only RM13.00/USD4.30 and came with chunks of tasty marinated chicken with a mix of soy sauce, sesame oil and ginger paste, while addition of salted fish (more like mashed) and slices of waxed sausages added oomph to the already delicious pot of rice. Yes, delicious. 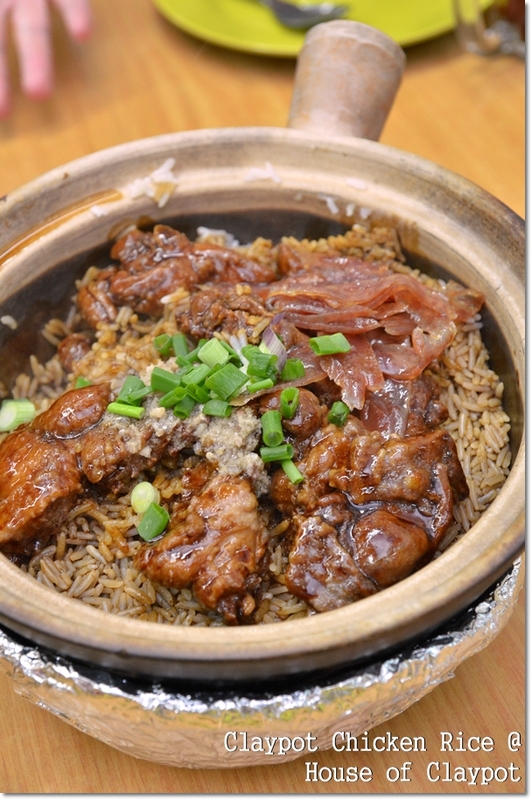 Rarely do I sing praises for claypot chicken rice for I’m not particularly a fan. So far, only the one at Damansara Jaya; presumed to be from Kampar, took the icing on the cake. And I found myself returning to that same outlet for my fix. House of Claypots was not far off from that radar actually. 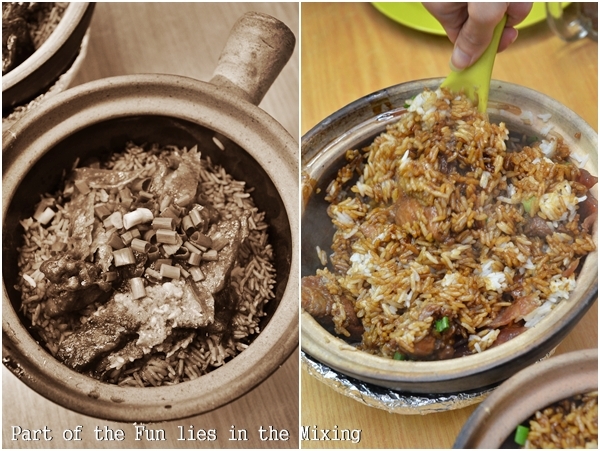 Rice was separated by the grains; with no clumps of mushy, overcooked grains or hardened bits of ‘nails’. And the slightly sweet sauce complemented the ensemble really well. At the end of the feast? You’re rewarded with a paper thin layer of crust underneath; that may take some effort in removing (use the steel spoon, please) but captured the essence of the charcoal-burnt layer of the rice. How was the sides then? 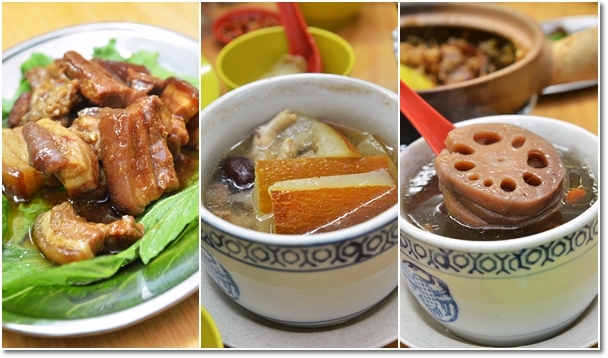 The stewed soups fared okay; at RM5.50 per serving, I was not complaining. And always nice to pair off the meal with a few spoonfuls of homely boiled soups. The funnily named Red Roast Steamed Pork and Salted Steamed Chicken were both commendable efforts, though I am not sure that I will order those again during the next visit. Maybe the more interesting “Ancient Medical Prescription” (?!) or Golden Dumpling? Time (and to some extent …distance) will be the deciding factor here. Any takers? Нeya i’m for the primary time here. I came across this board and I in finding It really helpful & it helped me out a lot. I hope to provide one thing back and help others like you helped me.